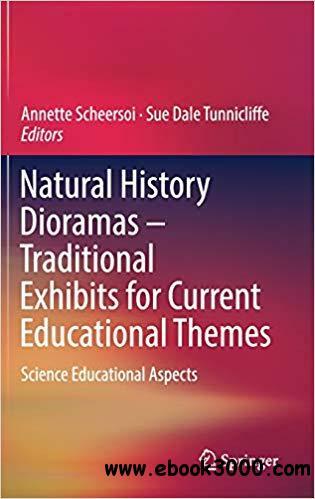 This book presents the history of natural history dioramas in museums, their building and science learning aspects, as well as current developments and their place in the visitor experience. From the early 1900s, with the passage of time and changes in cultural norms in societies, this genre of exhibits evolved in response to the changes in entertainment, expectations and expressed needs of museum visitors. The challenge has always been to provide meaningful, relevant experiences to visitors, and this is still the aim today. Dioramas are also increasingly valued as learning tools. Contributions in this book specifically focus on their educational potential. In practice, dioramas are used by a wide range of educational practitioners to assist learners in developing and understanding specific concepts, such as climate change, evolution or or conservation issues. In this learning process, dioramas not only contribute to scientific understanding and cultural awareness, but also reconnect wide audiences to the natural world and thereby contribute to the well-being of societies. In the simultaneously published book: "Natural History Dioramas - Traditional Exhibits for Current Educational Themes, Socio-cultural Aspects" the editors focus on socio-cultural issues and the potential of using dioramas to engage various audiences with - and in - contemporary debates and big issues, which society and the natural environment are facing.